Hello on a different note, not like the Hello Adele sings, the melancholy of that song…aint nobody got time for that! A happy hello, a hello like a bright shiny sun that shines back at me while contemplating my new year….. The Dallas Farmer’s Market is my 1st stop grocery store. Its that special place I buy quality, organic, real foods, that dictate my menu’ of the week and to grab a bite of something new! If you haven’t been you need to, there are so many things going on down there, wine tastings, walk about’s with the chef, cooking lessons are just a few and some cool new shops and eateries! Its my way of getting out of my weekly routine, seeing new faces, making a bit of conversation with some vendors that believe in what they do and have passion for what they sell. The roof top of South Side on Lamar Lofts is beautiful. The view, the whole downtown, it helped me with perspective. Putting it all together, what I like to do, what I want to do, breathtaking, both the rooftop view and rereading everything on my “what makes me happy to do” list, lol. Discovering Opening Bell Coffee, a cozy coffee shop downtown that makes an awesome almond mylk cappuccino and sells the most delicious gluten free cinnamon rolls in the world! makes all the difference in life! Joanna Bondy, Stocks & Bondy , shared her story at the walk about with the chef this month. She said “…at 52 years of age I decided what I wanted to do with the rest of my life.” Pure inspiration, I needed that. I needed that sunny day downtown, I needed that perspective from the rooftop and I needed and enjoyed a special, longed for treat with a good friend. I am doing just that. 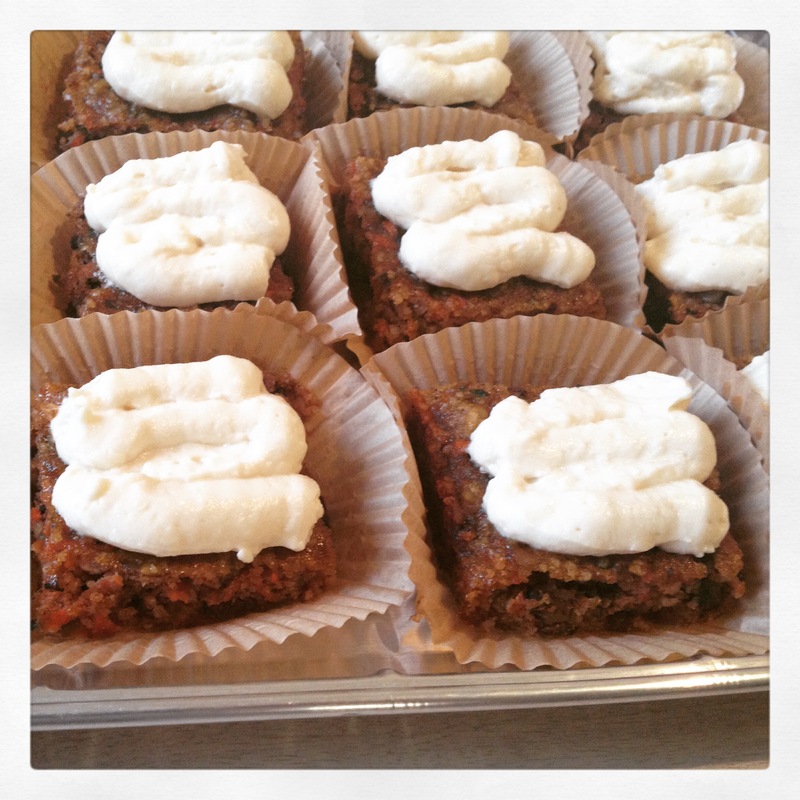 If you are gluten free and or a clean eater you will love these recipes! 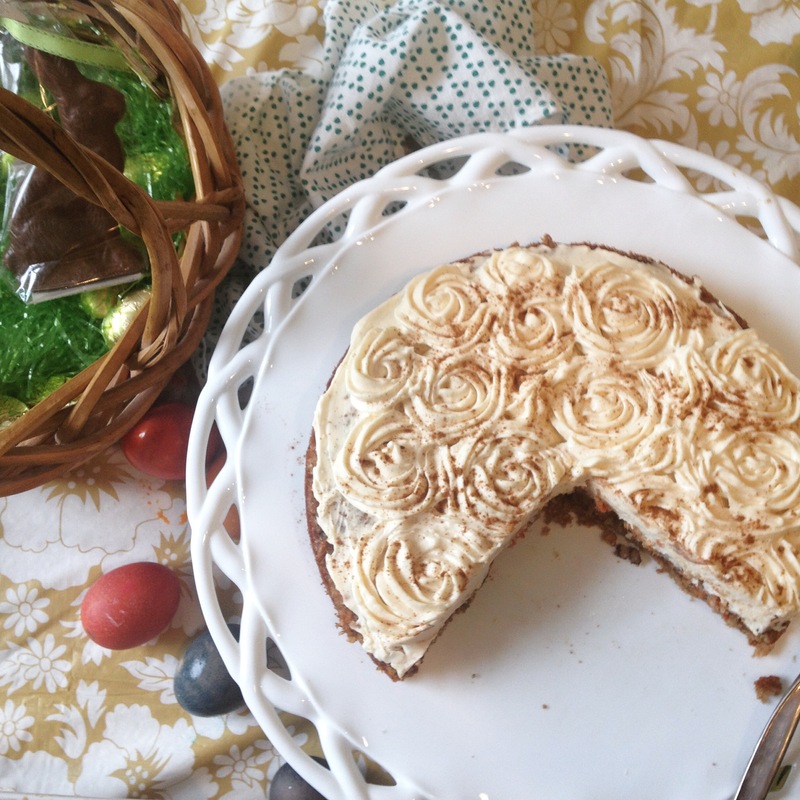 I tried the recipe for Grain free Carrot Cake for our Easter dessert. office to celebrate my 2nd year work Anniversary. 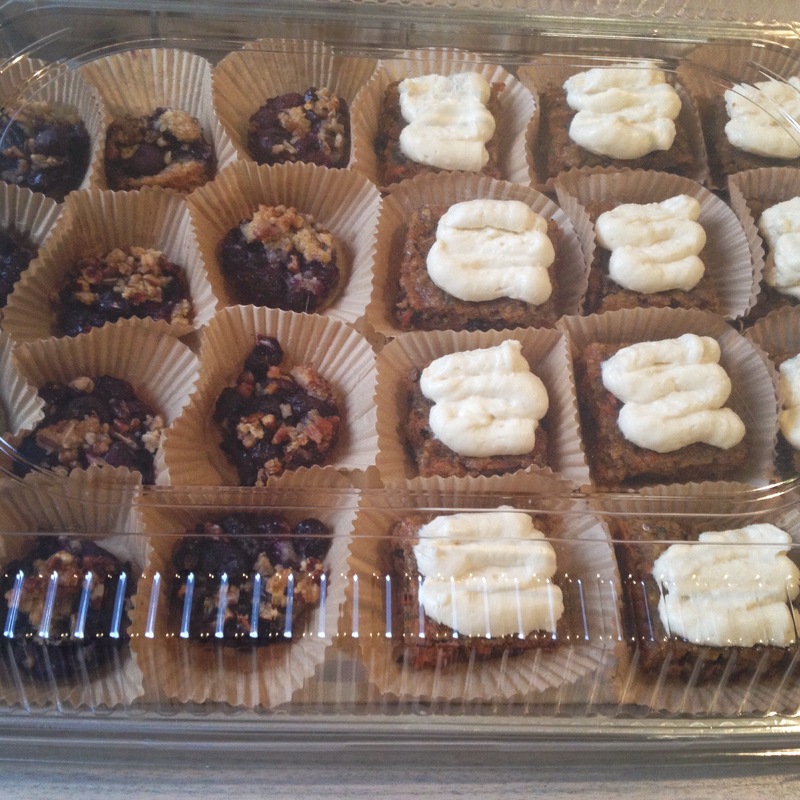 Using a square pan I cut the cake into small squares and frosted them using a pastry poche. 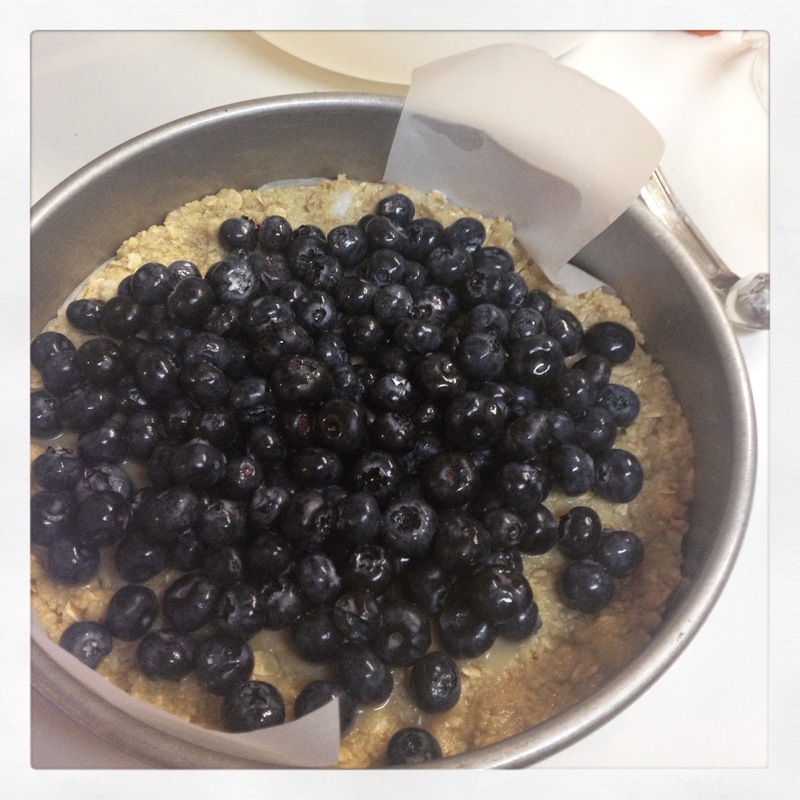 Oh, and the Blueberry Crisp Tart, WOW! 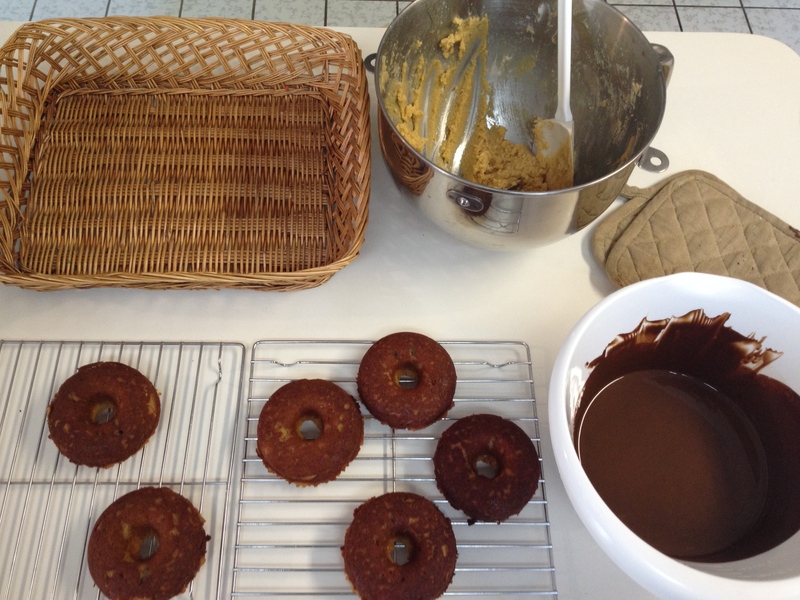 Both recipes are delicious, simple and easy to make. I highly recommend them both! 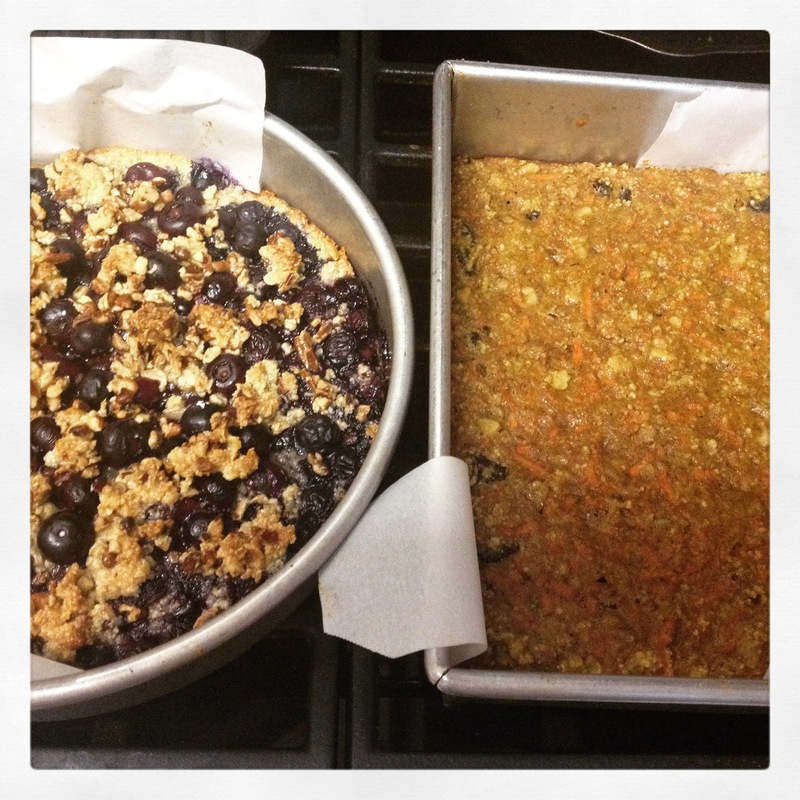 Cream Cheese Frosting & the Blueberry Crisp Tart. 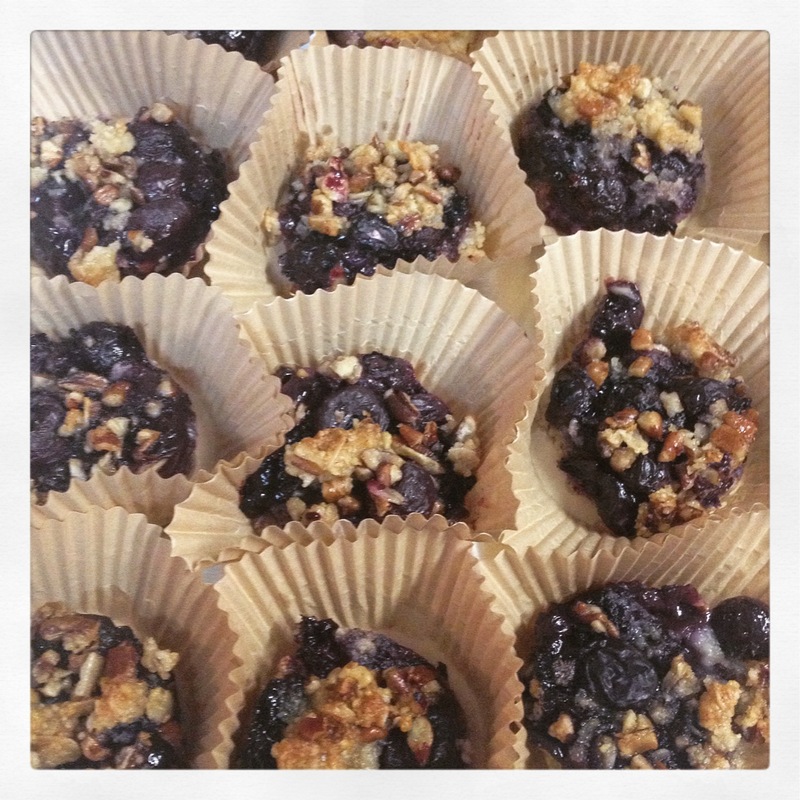 I used a round biscuit or cookie cutter to make bite-size Blueberry Crisp Tarts. These are one of my children’s favorites dishes! And so easy to prepare…..
Cut the chicken breast in half and cut out any bone or cartilage in the chicken breast keeping the halves intact. Cut each half chicken breast almost in half from the back, the side that is least smooth. Sprinkle the opened half chicken breast with salt, or an herb salt of choice and/or you can add herbs, rosemary, sage, thyme, fresh or dried if you like. *I use only uncured, no sugar, no additive containing bacon and buy over the counter chicken breasts, I try to avoid as much processed, packaged products possible. 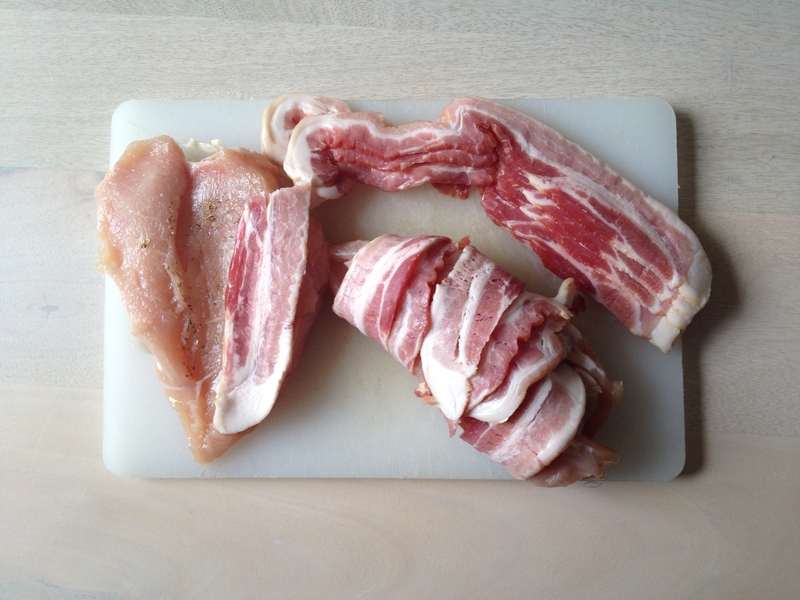 Cut a strip of bacon in half and place on top of the salted area and fold the breast back together. 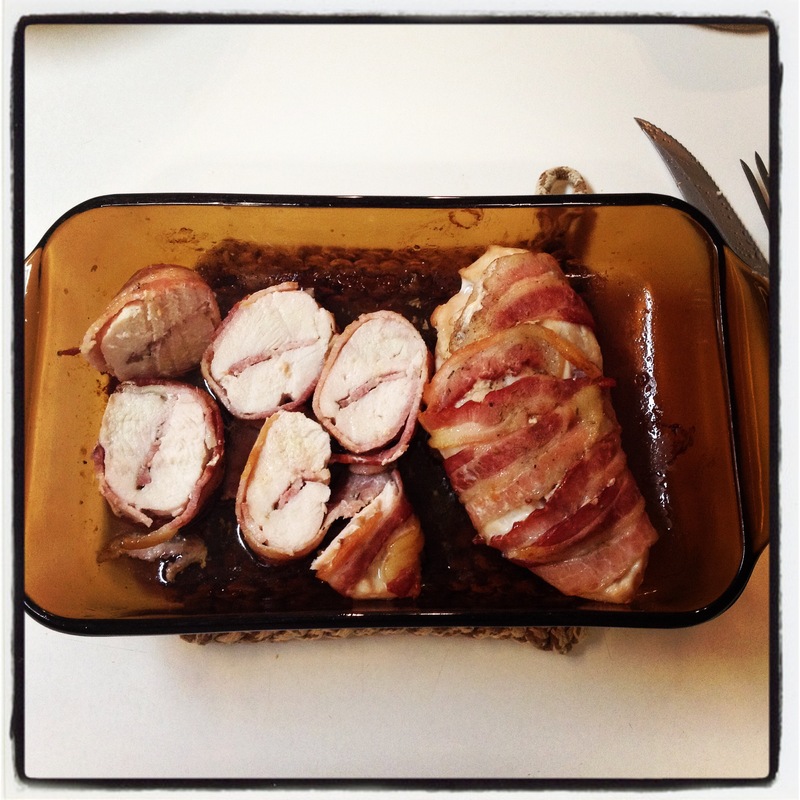 Wrap each half chicken breast with as many slices of bacon needed to cover, 4 or 5 usually. Sprinkle with a little more salt and a little EVO. 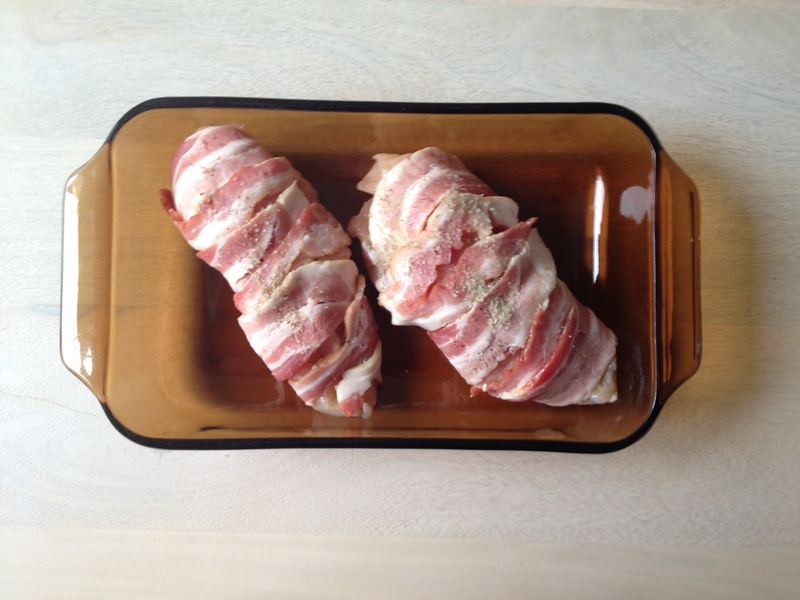 Place the chicken breasts in a baking dish and cook in preheated oven, 350°F for 40-50 mins. Turn the breast halves a couple times while cooking so the bacon crisps on all sides. When they are done cooking let stand for 5 minutes to cool before cutting. I usually cut the chicken breasts while still in the baking dish so the meat soaks up some of the juices. This is great with any side dish, mashed cauliflower, roasted carrots, salad, applesauce, you name it, we love it! I really enjoyed my brunch at Taverna. First off, I appreciate the “fresh squeezed” Orange Juice, immensely! Yes $6 might be a high price but when you are used to real orange juice, you squeeze your own oranges at home, you hate concentrate or any bottled so called orange juices not only for their awful taste but for all the junk they are made of and how bad they are for you, it is so nice to go out for Brunch and enjoy a freshly squeezed orange juice! So here you see, I really appreciate a restaurant that uses real – fresh -ingredients and serves freshly squeezed orange juice, thank you Taverna! The atmosphere at Taverna is allegra, the inside dining area showed tables of Saturday morning Brunchers, a couple tables with balloons noticeably celebrating birthdays, the room was full but cozy. The brick walls, the open kitchen and bar give the atmosphere a warm feeling, typically Italian 🙂 The waiters are very polite, professional and friendly. The front of the restaurant opens in a very European style where customers can enjoy eating alfresco and furry friends are comfortable. I ordered the Chef’s (oven baked ) Frittata; shrimp, arugula, white onion, toasted baby heirloom tomatoes with avocado a delicately delicious combination! Jeff ordered “Eggs Any Style”, scrambled with ham and breakfast potatoes and was very happy with his meal also. All of the ingredients in the food were very fresh and natural tasting. The Lunch and Dinner Menus are inviting, typical Italian plates and a nice variety to choose from, including Gluten Free Menus 🙂 Which leaves me with the intention of coming back again! I love roasted chicken and when I wind up with left overs I make Chicken Salad! Chicken, skinned, boned and chopped into cubes or small pieces. Celery, chopped, I like my salad loaded with celery! Onion, white, yellow, red, use what you have! Green Onion, gives a great taste, yes, use it along with another onion above! Mayonnaise , this is my recipe, it is super easy and quick and there is NO comparison to the store bought junk! 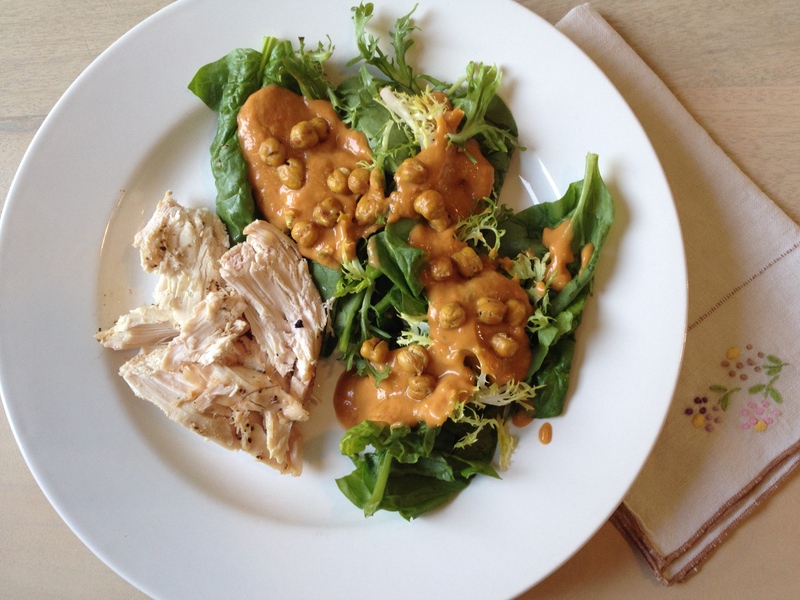 Dijon Mustard, use just a little to give a twist of flavor, (optional). Salt & Pepper, I usually season the chicken before i mix the ingredients together, just a dash or two. *It’s as easy as that! It only needs a few hours to settle and cool in the fridge. I love my Chicken Salad topped with hemp seeds or a little gommasio, on greens such as spinach, kale or served in endive leaves. *In my cover photo, fresh spinach and steamed baby broccoli. Usually I have a title for my blog. I mean, I know what I am going to write about, what I want to share, what I have cooked, learned, enjoyed and all of this comes together as some sort of label or explanation or description, but this time it took me a moment or maybe I had a moment! It was probably due to the thought of posting a the photo of my dinner on Instagram and thinking of how to label it or describe it in few words. At the time smoked, raw & toasted didn’t come to mind, rather, the five ingredient dressing was giving me hashtag anxiety so to make it all a little easier (?) 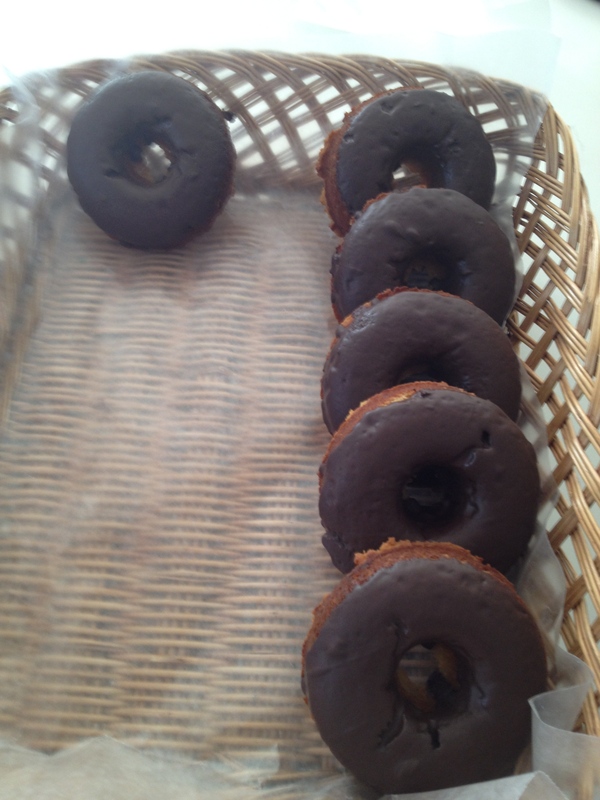 let me just blog it, (since its been awhile) …..this is a description of my dinner. “Smoked”, a favorite, “Raw” a curiosity and “Toasted”, the perfect ending. I really like Whole Foods Smoked Chicken. I usually go to Whole Foods to do my grocery shopping every couple weeks. Sometimes I will even just go for lunch on a Saturday or just for an ingredient, but it seems that every time I go lately I pick up some of their Smoked Chicken. 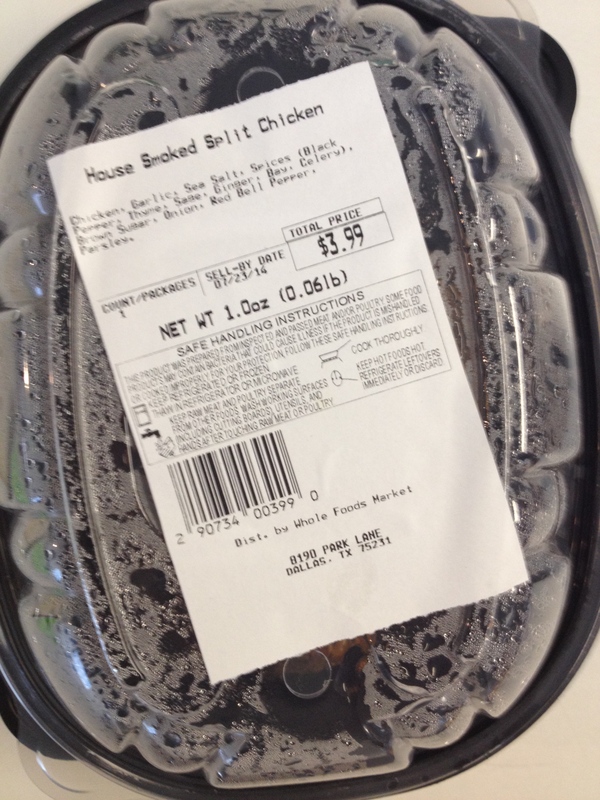 Below is the 1/2 Smoked Chicken I bought today. My salad, spinach and frisse’ leaves topped with a super special dressing I have been so curious to try! I watched FullyRawKristina’s 9 year Birthday video and discovered her world. 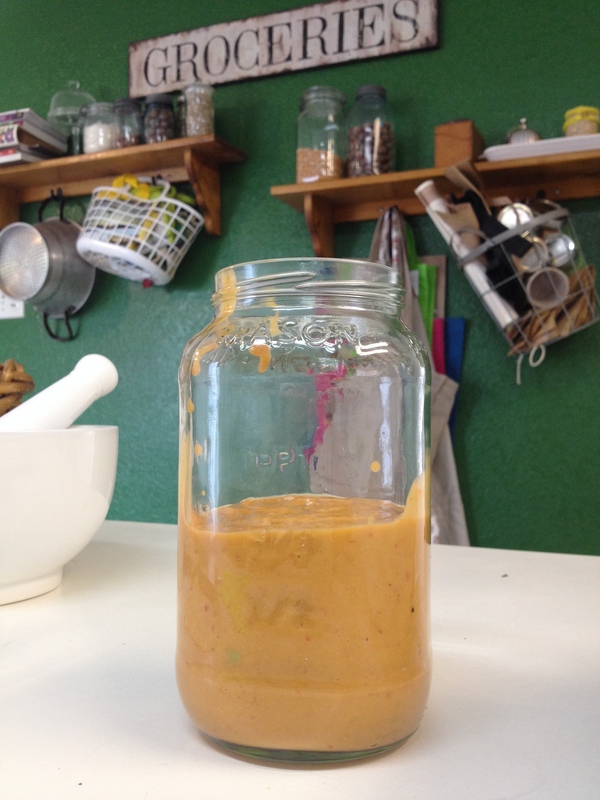 FullyRawKristina’s salad dressings sounded delicious, she describes them so well, she got me curious and hungry enough to try them out! 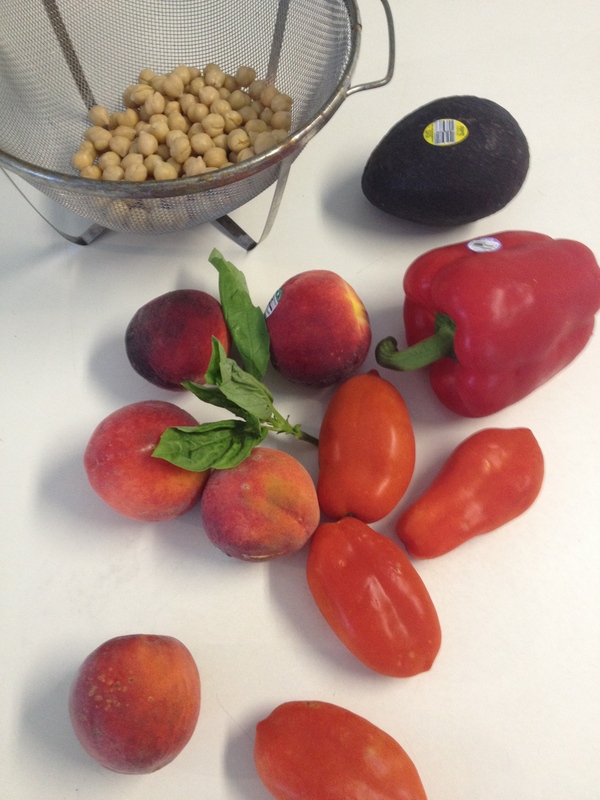 I tried Kristina’s Peach, tomato, bell pepper, avocado & basil dressing. I halved the recipe and it made 3/4 pint of dressing, enough for a few salads this week. This dressing would be a perfect sauce or cream for cold cuts, lettuce wraps etc. The others in her 5 FullyRaw Salad Dressings video sound delicious also! 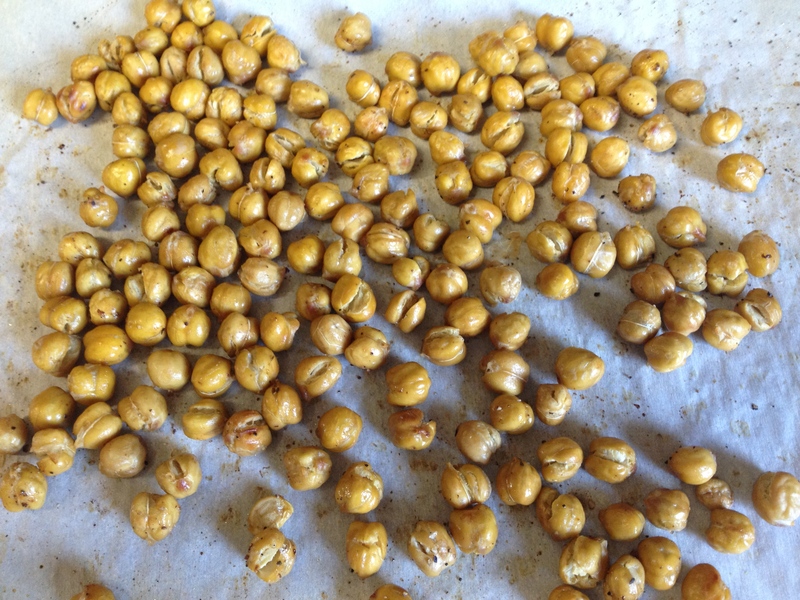 Chickpeas! You can find all sorts of recipes online on how to toast them. 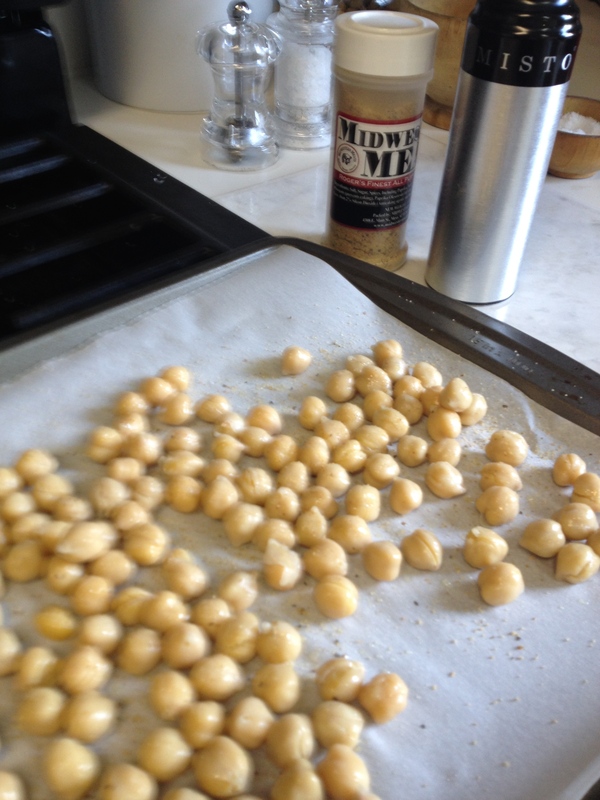 I used a can of organic chickpeas, rinsed them well, let them dry in a colander while I prepared the dressing, lined a baking sheet with parchment paper and tossed the dry chickpeas on the lined baking sheet with a little evo and a mix of salt and spices I bought at a Midwestern Meats, a Butcher & Deli in Mesa, Arizona. You can use whichever spices you have in your home and prefer to. I baked them for approximately 30 mins at 400*F, I took the pan out of the oven twice to roll the chickpeas around. They were the perfect topping to my dinner salad! 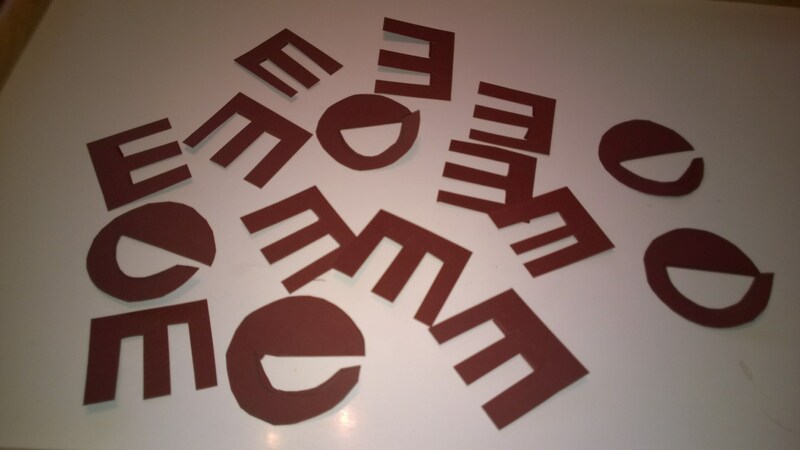 “Brown E’s” He said he made them to take to a Church meeting. 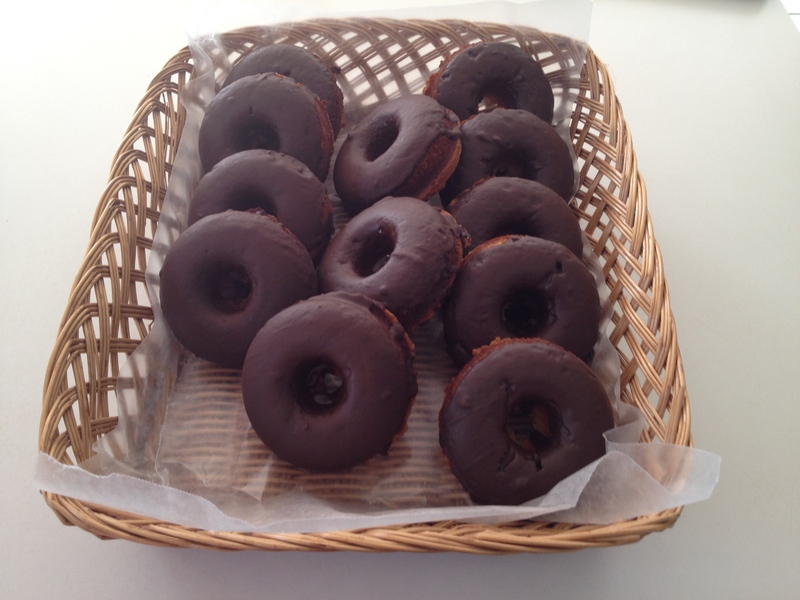 I’d seen dozens of real food, healthy donut recipes on Pinterest this winter and one of my favorite bloggers, Leafparade, was on a donut frenzy, constantly pinning and blogging all sorts of delicious looking donuts! 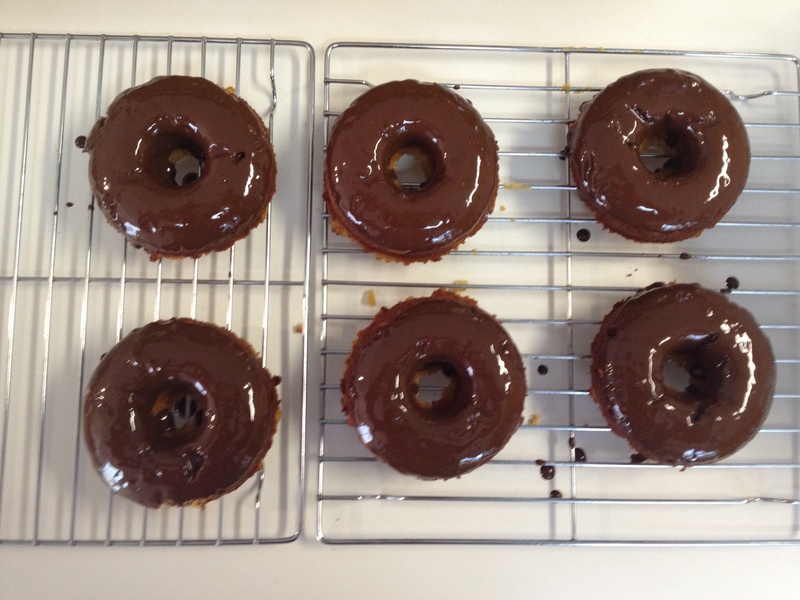 I finally decided to pick a recipe for homemade, real food donuts and try them out myself! I picked a recipe I found on Pinterest and hit the jackpot, they were awesome!